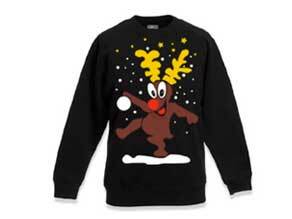 A fun Rudolf the reindeer printed sweatshirt suitable for both men and women. Available in black and green, this Christmas sweatshirt is thick, warm and perfect for the festive season. 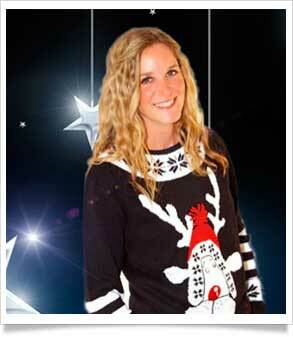 Rudolf the Reindeer Christmas Jumper. 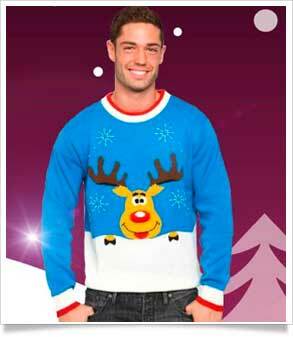 A super bright and merry Xmas Jumper featuring Rudolf the red nosed reindeer. Gauranteed to be a hit this Christmas. 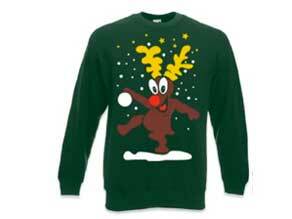 Wally the Xmas Reindeer Jumper. 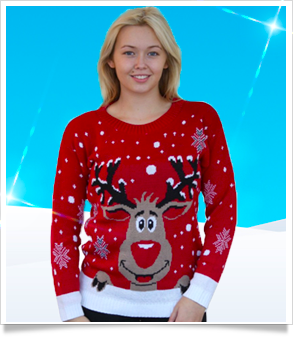 Chunky knitted Christmas jumpers featuring Wally the reindeer. Complete with pom pom nose and googly eyes. 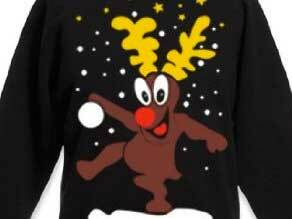 Colin the reindeer Xmas jumper holding a cheeky sprig of mistletoe. Comes with fluffy pom pom nose and wobbly eyes. 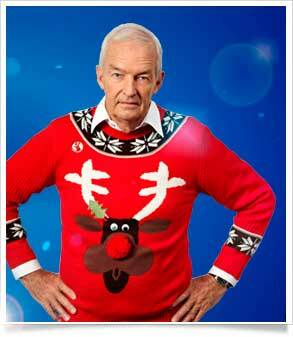 Girl Talk Novelty Christmas Jumper. 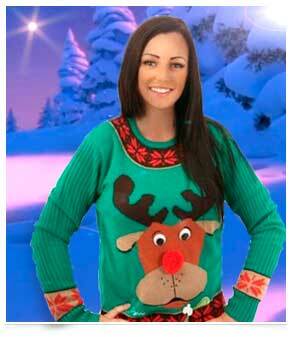 Cosy reindeer pullover. Available in black and red.